Flexsteel Cade features supple yet pebbly charcoal black leather. 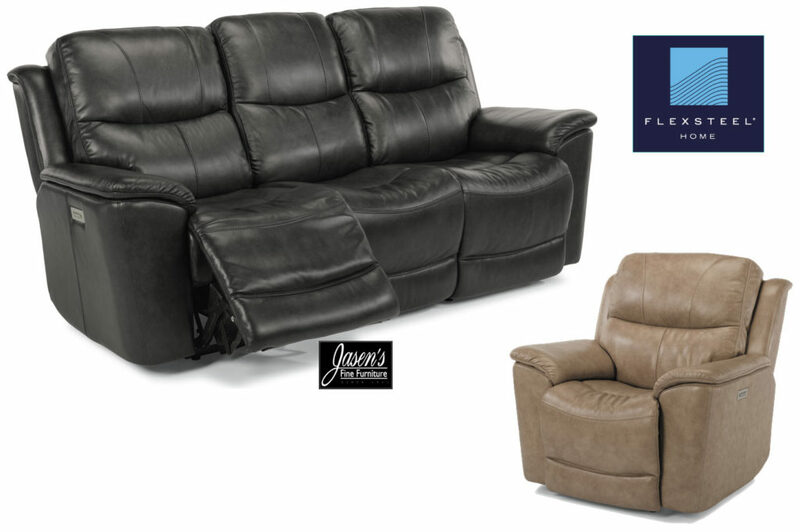 The reclining sofa and chair feature power chaise, headrest, and lumbar! The Cade is available in two unique yet timeless leathers. The leathers available are a stylish charcoal black or tan. Each seat features three switches and usb charging port for ultimate comfort! The three switches enable control for the chaise, lumbar, and headrest!